Description: With the Talisman of Camulos, Silas is able to trap lost souls in organic items and animate them. 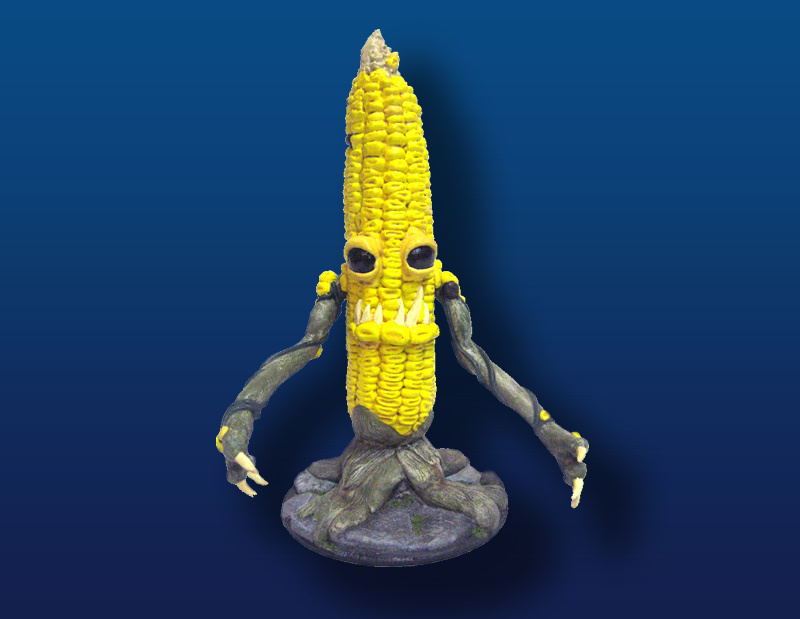 When the Rift awoke Kaijin and Kaiju of various sizes, Silas decided to bolster his army of Sinister Scarecrows with giant corn monsters known as Coblins. Coblins are a reliable addition to Silas’ army – especially with their Projectile Burst of gigantic corn kernels. All Kaiju Kaos miniatures are designed for play with other 28mm (1:56 scale) gaming miniatures. Coblins are Size 4 Giants which means they have a 4 inch diameter base. This Giant Coblin is 8 inches tall and comes in 4 pieces for easy assembly. Complete game stats for a Coblin Scout Specialist plus Cornan the Coblin Leader can be found at WargameVault.com.